Locksmith Monkey provide mobile locksmith service for lost Car Keys Replacement. We can duplicate your vehicle smart key promptly in affordable price. Our mobile unit equipped with the newest technology and able to meet you wherever you are. We can program transponder keys and remade Laser cut keys for all make and models available on the spot. Our Courteous, Professional, High Trained technicians allowing us to guarantee our top-natch work for all Car Keys Replacement. We able to recreate a keys from scratch, on site with no waiting time for the replacement car keys you need. From the old classic car you restoring in your garage to the new one who just come out from the dealer show room, We do all car keys replacement. Locksmith Monkey is here for your auto locksmith needs. Our highly skilled technicians always stay up to date with today’s advancements in the automotive industry. Mastering car-locking-mechanisms, we are rated the #1 locksmith agency in the Portland, OR area for car keys replacement. Locksmith Monkey understands the delicacy in automotive locksmithing, and exercises the highest standards in our profession, we utilize high-end locksmith tools, equipment and techniques and with such resources, we can create, program and replace your auto keys and locks to the highest accuracy. We at Locksmith Monkey in Portland, OR are capable of generating car keys replacement when keys are lost for nearly all years and makes of vehicles. We can duplicate and program all but a few keys that use transponder technology, whether by simple cloning that reads an existing transponder I.D. and writing that I.D. to a new duplicate keys or using a hand-held programming tool for access via the O.B.D. port, the vehicle’s E.C.M. (computer). You can take advantage of both emergency auto locksmith services as well as our standard auto locksmith services. Regardless of your specific needs, you can look forward to our budget friendly prices. Establishing an ongoing relationship with you is our top goal, so there are never any hidden fees or jacked up prices. There’s no need to make someone pay even more when they’re already forced to deal with a frustrating situation. 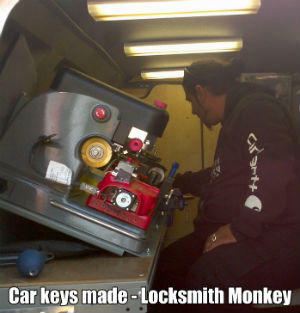 Call your automotive locksmith at Locksmith Monkey now. Model Years Affected: 2000, 2001, 2002, 2003, 2004, 2005, and 2006. Honda ignition problems are common. The advantages to upgrading to a high security laser cut key with a microchip are obvious. First, reduces the probability of the car being stolen. Second, lowers the chances of someone duplicating your key at a local hardware store. There are also some minor disadvantages that can be minimized with proper maintenance. First, because the key tumblers are split and are half the size for high security keys, after years of usage, the key gradually wears out. Second, the tumblers eventually slip out of position and causes the ignition to lock. Both of these issues can be avoided with proper maintenance. Try to keep you ignition clean by spraying some electric cleanser or dust removal in the key slot. Also keep your car key on a separate key chain and not with the rest of your keys. Many times a heavy key chain misaligns the position of the key and gradually wears out the first tumblers. Lost keys for your Toyota, Lexus, Honda, Acura? Has the dealer given you sticker shock by their estimate to replace the immobilizer computer? According to some vehicle manufacturers and car dealers, certain models require replacement of the Immobilizer Control Unit (ICU) or Engine Control Unit (ECU) in the case of a lost transponder key. Late 90s to early 2000s Toyota and Lexus models are the most commonly affected by this. The cost of replacing and programming these units are extremly high! 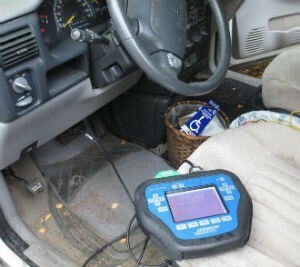 We are Automotive Locksmith that specializes in immobilizer programming. We can reuse the existing vehicle computer (ECU) and/or engine immobilizer (ICU) to generate a working transponder key for the vehicle. Reusing the existing computer or immobilizer equals a huge savings, by thousands of dollars in some cases when comparing replacement by a dealer. Loss your keys while visiting the area? Broken key in the ignition? Available 24 hours a day 7 days a week! We Provide All types of Locksmith Services! Licensed bonded insured, Over 10 years in providing full Locksmith Services! West, the locksmith that came to unlock my door at 10pm was very courteous, professional and fast. I would absolutely call them again if I ever needed a locksmith. I called when I was locked out on the weekend. Within 40 minutes they sent someone out! He worked in minutes. I forgot his name but he was so polite and very nice. I hope I won’t have to call again but will definitely will recommend Locksmith Monkey to my friends and family. Thanks you made my day!! His name was West!! I was very impressed with the ease and efficiency of getting two keys made for my GMC. Spoke with gentleman on phone last evening and this morning Ilan was at my house. He was polite, friendly and knowledgeable. It didn’t take him long at all, plus answered all sorts of random questions while he worked! He even chatted with my elderly mother and myself after the job was all finished. Very kind. I would highly recommend them and would not hesitate to use them in the future! Thanks again!! 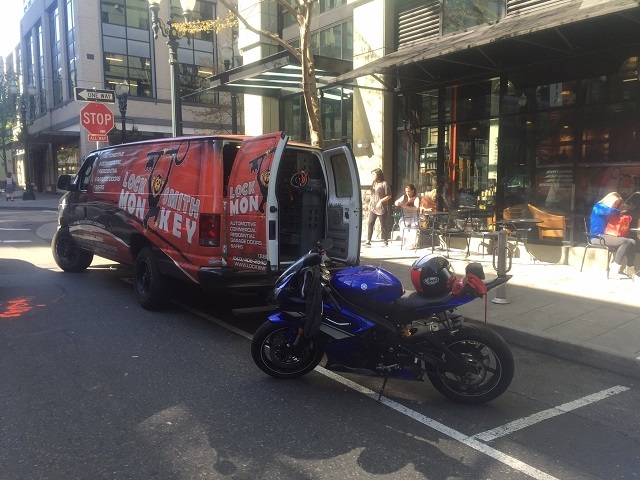 Need locksmith services in Portland? Locksmith Monkey is available 24/7 to assist with fast and reliable residential, commercial and automotive locksmith services. © 2019 Copyright. Locksmith Monkey Portland OR - All Rights Reserved.